Losing an individual who has not passed away can be as challenging as losing an individual who has passed away. In addition, losing oneself has similar aspects of losing another individual. And many times, the individual goes through the same stages of grief (an indepth analysis of the components of the grief process) including shock, denial, anger, bargaining, depression, testing, and acceptance. Specifically, shock: the initial paralysis at hearing the bad news, denial: trying to avoid the inevitable, anger: frustrated outpouring of bottled-up emotion, bargaining: seeking in vain for a way out, depression: final realization of the inevitable, testing: seeking realistic solutions, and acceptance: finally finding the way forward (modified Kubler-Ross Model). Of note, these stages may vary in length and may vary in order as well as one may go back and forth between the stages. Therapy is useful when an individual is “stuck” in a specific stage to help him or her move forward with the loss. Additionally, there are two types of grief: acute and complicated (i.e., prolonged – lasting more than one year) depending on the length of the grievance (Dryden-Edwards & Stoppler, n.d.). While grief is often times related to the death of a loved one, any major loss (breakup of a relationship, job loss, loss of a dog, loss of a living situation) may also result in a grief reaction. These individuals may suffer from depression or posttraumatic stress disorder as well as have difficulties with sleep, appetite, weight, concentration, or energy level (Dryden-Edwards & Stoppler, n.d.). Symptoms of grief may be emotional, physical, social, or religious in nature. In some cases, loss of a person or object may ultimately lead to an enhanced personal development (Dryden-Edwards & Stoppler, n.d.). 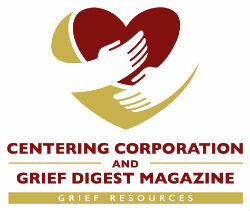 It is important to note that grief is a common feeling and that it results from a loss of anything that is important to the individual (Dryden-Edwards & Stoppler, n.d.). More often than not, researchers or clinicians do not discuss loss of self-identity. While this may have occurred in childhood or late adulthood. Loss may or may not occur after some of the losses discussed previously (e.g., loss of a job, loss of a home), but other losses occur after abuse (whether it be physical, emotional, or sexual). When individuals lose their identity, they may have no idea who they are or where they want to go in life. In extreme cases, individuals may isolate because they worry about who to connect with if they do not know who they are themselves (Sell, 2013). In essence, identity is that collection of attributes that defines how individuals see themselves (Sell, 2013). When someone losing his or her identity, he or she often times go through the stages of grief. Of note, identity is one’s capacity for self-reflection and awareness. People usually acquire their identities through the tasks they do and the objects they identify themselves with (Radwan, n.d.). One may have an identity with a person (e.g., children who try to imitate their parents), an identity with a job, or identify with an object (e.g., a car; Radwan, n.d.). If someone identifies as a successful person because he or she has a family and wealthy job, if he or she gets fired or his or her spouse files for divorce, this individual may lose his or her identity. Similarly to losing a loved one or materialistic item, individuals have the potential to go through the seven stages of grief. Losing one’s identity can happen suddenly or over the course of time. As a therapist, it is essential not to “rush” individuals through their grievance of their identities. Allow these individuals to go through the stages of grief and help them recognize which stages they get “stuck” in. Then, in return, help them push through those stages. Be patient with their ability to form a self-identity. Additionally, it is important to help the individuals recognize their internal and external values, and create their own identity (Sell, 2013). This way, the individual can choose any definition he or she wants- he or she does not have to live up to the expectations of who others want them to be, but he or she lives up to his or her own expectations. By accepting one self, individuals are not limited by any notion of identity, they liberate themselves to be just who they are (Sell, 2013). To create oneself and to choose one self’s identity. Lastly, a common area where people lose their identity is when they are depressed- they may have lapse in memory, they may lose their ability to find pleasure, they may have decreased libido, they may have difficulty concentrating, and so forth (Smith, 2018). As therapists, recognize that it is a journey of reclaiming oneself piece by piece, and that they may go through the stages of grief (Smith, 2018). In this case, depression may have been a specific stage of grief where he or she lost his or her identity. Helping them rebuild is essential. Michelle Blose is currently an intern at Bay Pines VAHCS and a fifth year doctoral student at Nova Southeastern University. Her email is michelleannblose@gmail.com.